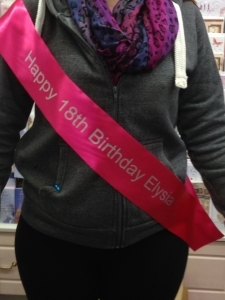 Personalised sashes are 10cm wide and approximately 170 cm long You can choose to personalise the front or back or both. Choose from a selection of colours in luxury satin finished ribbon. Choose the colour of your text, the font style you would like it printed and add an Image if required. Why not coordinate the colour of your sashes with the colour theme of your event. 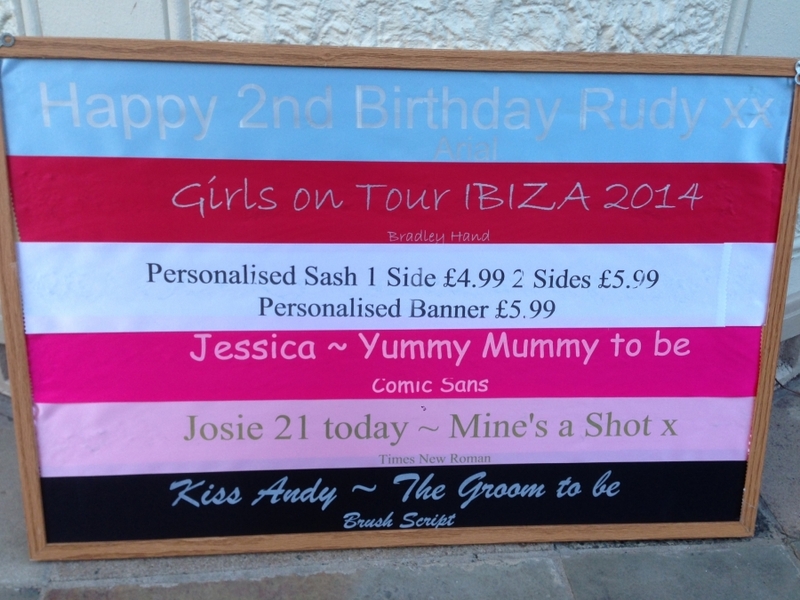 Make your personalised announcement in style! Your text will appear exactly how you have entered it into the text box. A velcro fastening is provided so you can attach it to your sash for a perfect fit. All images will be printed in the same colour as your chosen text it will appear at the start and the end of your chosen text.